← Drinking shakes the “Mega Way”, is the best way! Over the weekend our local library in West Hollywood hosted a vegetarian cooking seminar conducted by the very friendly and well informed volunteers at Green Menu. Attendees came from all walks of life. The turn out was quite large and the vast majority were non-vegetarians. Chad and Modesty, the heads of Green Menu, gave a very informative speech regarding societal misconceptions of vegetarianism, how essential and non-essential amino acids work in the body and how switching to a vegetarian lifestyle can be beneficial to the environment and our bodies. They referred to research conducted in Dr. T. Colin Campbell’s, “The China Study”, to back their claims. Chad briefly surmised Chapter 3 of the China Study in which a study was conducted on rats who were introduced to the most dangerous carcinogen in existence—aflatoxin. Chad encouraged the audience to do their own research on vegetarianism as a healthy lifestyle. The rats were separated into two groups for study. One group was given a strict vegetarian diet while the other group was given a meat based diet. The rats given the vegetarian diet survived while the meat eating group, died. Shortly thereafter, the cooking presentation began. We learned how to make spring rolls consisting of carrots, cabbage, faux ham and dried black mushroom wrapped in rice paper. In addition we were also taught how to make a very delicious seasoned seaweed wrap filled with faux ham, ketchup, Japanese mayo, stringy carrots, lettuce and cucumber. We met new friends, though not vegetarian, were still very interested in making dietary changes. 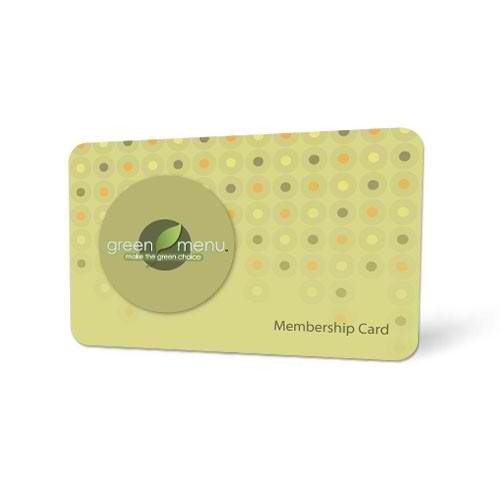 Modesty informed us that Green Menu is a non-profit organization designed to provide discounts to vegetarians through a discount card. She also explained that they have been around only a year and continue to expand their client base. Whole Foods is a participant at certain locales. She confirmed that they are partnered with several restaurants and grocery stores that fall under three categories: Vegetarian, Vegan and Vegetarian friendly. Participating vegetarian outlets are located in California, Georgia, Florida, Maryland, Nevada, New Mexico, New York, Pennsylvania, and Virginia. This burgeoning organization provides its members with discounts of up to 20% and is only $25 for the year, making a membership an incredibly valuable purchase. The list of restaurants and locations is impressive, and for those who dine out frequently, one can save up to $200 per year by being a Green Menu card carrier. They conduct numerous hands on interactive cooking classes and have very friendly volunteers all over the country. Wendy, a volunteer with Green Menu was eager to provide info on the organization and quite amicable. In short,Green Menu is a very ethical, fun, social and socially conscious group. For more information visit their face book page https://www.facebook.com/greenmenu and sign up on their website to receive all the veggie discounts and perks offered by this lovely outfit. After transitioning to a meatless diet two years ago, Lauren and I had no choice but to learn lots of great vegetarian recipes---and fast---after all, we always loved great food. The reason for our decision to omit meat and most dairy products from our lives was quite simple. A vegetarian diet is healthier, kinder, and ironically much cheaper than one with meat. We created this website to show that being a vegetarian is one of the easiest and most rewarding lifestyles to partake in, and hope that both vegetarians and aspiring vegetarians alike will visit Go-Vegetarianista habitually. :) About the authors: Nadya Rousseau is an actor/writer/producer residing in Beverly Hills, CA. She moved to Los Angeles almost five years ago at the age of nineteen to pursue her career and to escape the boredom of her small town. As maintaining a svelte figure is often pivotal in the entertainment industry, she finds she has no trouble staying slim and healthy as a vegetarian. In addition to loving good food and helping others, she enjoys engaging in sarcastic banter--keep an eye out for her frequent sardonic jokes--you'll surely be amused!! Lauren Rheims, is a native of Pomona, CA, and now resides in Beverly Hills, CA. She is a fashion and nature photographer, and of course loves shooting pictures of super yummy food! Lauren at first was apprehensive about becoming vegetarian, being of Creole descent, enjoying delicious seafood and meat, was more or less second nature. However after she discovered just how easy it was to enjoy the same delectable meals sans meat, she was thrilled! Lauren is excited to show everyone the simplicity and allure of vegetarian fare--and just how fun it can be!